Honey is my favourite ingredient and scent when it comes to bath products, so the honey-scented revamped Lush Cosmetics Shoot For The Stars Bath Bomb was heading straight into my basket. The newly released, limited edition, Christmas bath bomb has been given a new makeover since its 2014 much-loved release. 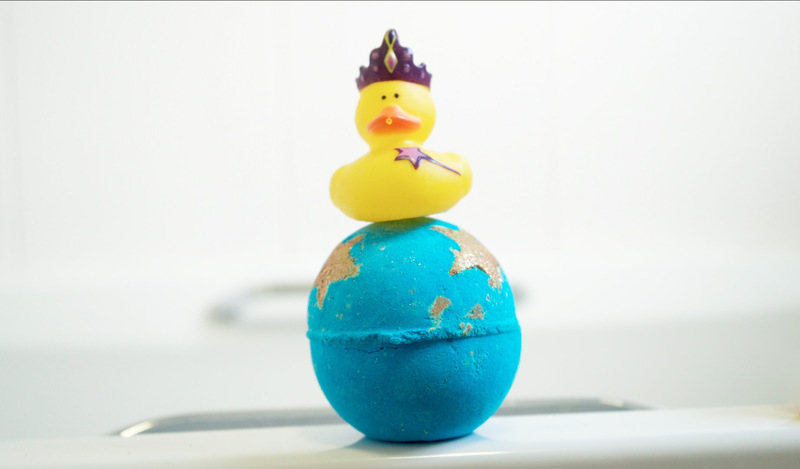 As you can see in my demo video, this bath bomb offers theatrics with its bright blue tone and gold stars. It also has a beautiful fragrance with hints of Brazilian Orange and Bergamot Oil. As with the majority of Lush cosmetics products this bath bomb is Vegan and priced at £4.25. The bath bomb gives swirls of colour across the tub and is visibly very different from the original. To see the difference between the two, the original and the current, here is my demo video from last year of the original creation. You can also find my blog post on the first Lush Cosmetics Shoot for the Stars here. The scents in the bath bomb are warm and sickly sweet. 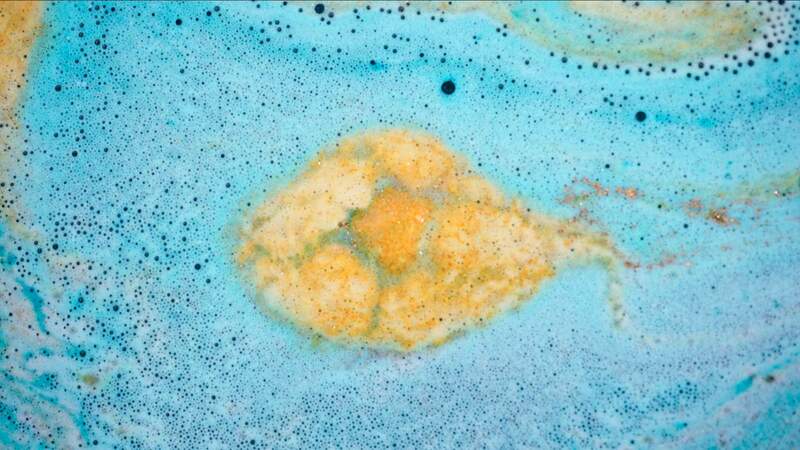 The new Lush Cosmetics Shoot For The Stars Bath Bomb contains Brazilian Orange Oil and Bergamot Oil. For moisture it also contains Fair Trade Organic Cocoa Butter, Coconut Cream and Almond Oil. There is also a bit of jazz with lots of Gold Glimmer Lustre, Radiant Gold Lustre and Ice Blue Lustre. These six stars in the Lush Cosmetics Shoot For The Stars Bath Bomb are mini bath melts. This added feature makes this the most moisturising bath bomb I have ever tried from Lush! I love that this is a winter release as my skin can use the added hydration. The stars are made of almond oil and cocoa butter with the oil sitting on the top of the water. I would suggest either not washing your hair in this bath or making sure to thoroughly rinse your hair with a shower head after or your hair will be left with residue. You also do have a bath and body left covered in glitter. If you have enjoyed this post be sure to check out my other Lush blog posts that can be found here.